Malware endangers computers, systems, IT infrastructures, and entire companies. The aim of these attacks, which are carried out using malware, is to capture data, documents and passwords. In most cases, the criminals want to enrich themselves with the money of their victims. The financial losses for private individuals or companies can be serious: Financial damages, including insolvency, can be caused by malware if action is not taken in time. 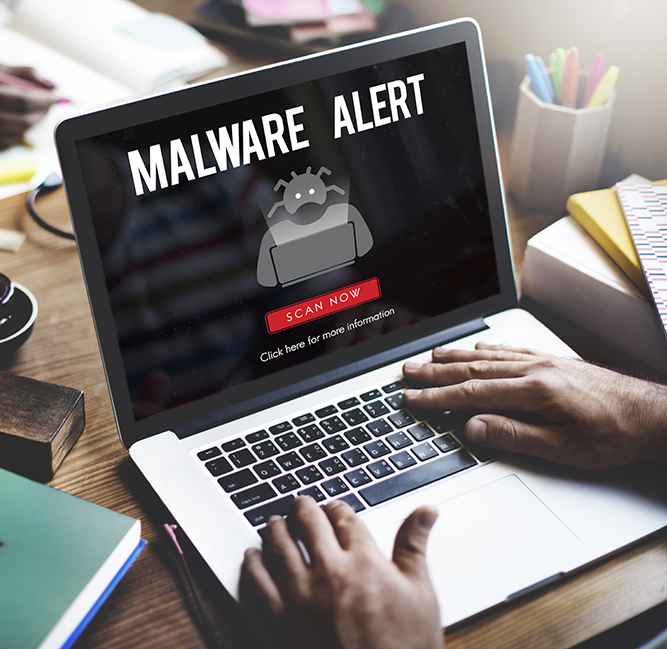 The term malware does not only refer to viruses or trojans. As already discussed in our blog post on the different malware types, the term covers a wide range of threats to which users are exposed. Emotet, Locky or WannaCry are just a few of the current forms of malware that have already caused great damage. In recent years, there has been a multitude of attacks using so-called ransomware, i.e. software that blocks access to computers or data until a ransom payment has been received by the blackmailer. How can you tell if your computer or network is infected with malware? In the case of ransomware, it is easy to detect: Usually a message appears on the screen informing you that data has been locked and at the same time indicating ways to unlock it, i.e. a financial transaction to a specific account. The solution is simple at first glance, even if very expensive in many cases. But experts strongly discourage payment of ransom because in many cases the data will not be decrypted, and there will be no further reaction from the blackmailers. A more complicated situation occurs if your computer is infected by spyware, adware, crypto miners, trojans or other malicious software running in the background. In these cases, there are no immediately noticeable consequences, such as disabling of data. A frequent indicator is a computer that is working and reacting more and more slowly. If the Internet connection is slowed down, files open more slowly or the computer crashes more frequently than usual, a malware infection may be the reason. The malware consumes resources that are no longer available to your system and other processes. Crypto miners are a particularly good example of high resource consumption. However, all these indications can also be traced back to an outdated operating system, updates that were not carried out or resource-hungry but harmless software. Nevertheless, you should pay attention if your computer is not performing as well as usual. Another indication that malware has infected your computer are virus scanners that no longer update. In such cases it is possible that the malware itself prevents the updates. Without regular updates, the latest virus signatures can no longer be downloaded, increasing the probability of them going unnoticed by the virus scanner. 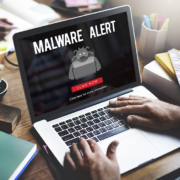 Ultimately, malware can also cause individual functions of your computer to malfunction or documents to be damaged or destroyed. As soon as malware has infected your computer, you need to limit the damage. No matter how the malware got inside your system, now you need to do everything you can to rid the computer of it and eliminate the threat. The first step is always to isolate the infected computer and prevent any unauthorized access. This also prevents the malware from spreading to uninfected computers on the network. So pull the LAN cable and/or switch off the WLAN connection. Now you should restart the computer in safe mode. Safe mode prevents many processes running in the background, including viruses, trojans and other malware. Now you can use a virus scanner or malware removal tool. However, this is often not straightforward and comes with considerable costs. There are a number of free virus scanners and malware removal tools on the market, but their effectiveness is disputed. In many cases, even the paid variants do not reveal all the malware or are unable to remove it. In such cases there is only one solution: you have to reinstall your operating system and all installed programs. Once the system has been reinstalled, you can import your data backups after examining them for malware. Better than removing malware is not to allow your computer or network to become infected in the first place. Whether the malware has reached your computer via email, a network, or via a USB stick, prevention is the best protection against data loss, financial loss, and other damage. And because most types of malware are spread through emails and email attachments, malware prevention first and foremost means email security. Effective anti-malware software stops malware emails before they reach your inbox. It scans every single email and ensures that only harmless emails reach you.